In Boyle v. Int’l Bhd. of Teamsters Local 863 Welfare Fund, 12-4578, __ Fed.Appx. ___, 2014 WL 4235045 (3d Cir. Aug. 28, 2014) (not for publication), the plaintiffs brought a putative class action against the defendants for ceasing payments in February 2011 to the Fund to cover medical expenses for both active and former employees, including the Early Retirees. Although the employer resumed payments to the Fund in March 2011, the Fund did not restore health benefits to the Early Retirees until June 13, 2011. 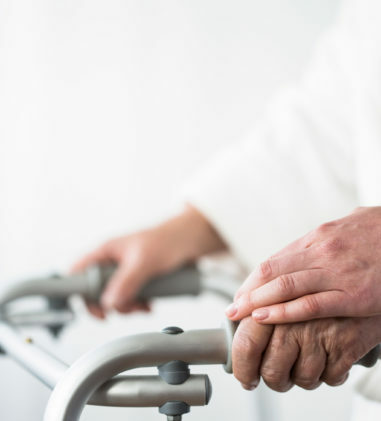 After the plaintiffs brought suit alleging the unlawful withholding of benefits to the Early Retirees, the Fund reinstated the benefits retroactively and later offered to reimburse, with interest, the Early Retirees for any substitute insurance policies or uncovered medical expenses. One plaintiff accepted the reimbursement but the other did not. The court found that the former plaintiff’s breach of fiduciary duty claim is now moot but not his claim for attorneys’ fees. With respect to the plaintiff who refused reimbursement, the defendants argued that the mere offer of reimbursement is sufficient to moot his claims because the Supreme Court has recently held that an offer of complete relief moots the claim. Genesis Healthcare Corp. v. Symczyk, 133 S. Ct. 1523 (2013). The court disagreed and found that because the Fund has made no offer to cover attorneys’ fees, a unilateral offer of relief that fails to cover the entire claim does not render moot a plaintiff’s claim. Accordingly, a justiciable controversy remains between the second plaintiff and the defendants as to the breach of fiduciary duty claim, because of the failure to offer attorneys’ fees. The court advised that resolution of these claims requires only an offer of reasonable attorneys’ fees. With respect to fees, the court found that the district court erred in holding that the ERISA statute does not permit an award of attorneys’ fees under the catalyst theory. The court held that in light of the Supreme Court’s clear rejection of the “prevailing party” standard in Hardt, the catalyst theory remains viable under ERISA. Because the plaintiffs achieved “some degree of success on the merits” under Hardt, the court vacated the district court’s denial of plaintiffs’ motion for attorneys’ fees and remanded for further proceedings to determine a reasonable amount of attorneys’ fees, if any, to be awarded. Retiree Health Benefits Are Not Vested and Breach of Fiduciary Duty Claim Is Time-Barred. In Lewis v. Allegheny Ludlum Corp., 13-3636, __ Fed.Appx. ___, 2014 WL 4212546 (3d Cir. Aug. 27, 2014), the plaintiffs-retirees appealed the dismissal of their putative class action alleging breach of contract under both the LMRA and ERISA, and breach of fiduciary duty under ERISA against the Defendants. Prior to 2008, retirees were not required to pay for certain types of coverage but the defendants advised the plaintiffs and other plan participants that they had agreed with the union that the “no cost” provisions would be replaced by coverage that required premium payments, effective January 1, 2008. The plaintiffs alleged that their “no cost” health benefits were vested, lifetime health benefits that could not be changed after retirement. The plaintiffs also claimed that the Defendants breached their fiduciary duty under ERISA by representing to the plaintiffs before they retired that their health benefits would be provided for life at no cost and by failing to inform them that these benefits could be changed by agreement. The relevant document contained the following “Continuation of Coverage” provision: “Any pensioner or individual receiving a Surviving Spouse’s benefit who shall become covered by the Plan established by this Agreement shall not have such coverage terminated or reduced (except as provided in the Plan) so long as the individual remains retired from the Company or receives a Surviving Spouse’s benefit, notwithstanding the expiration of this Agreement, except as the Company and the Union may agree otherwise.” The court determined that there was no clear and express language in the agreements that confer unalterable, vested lifetime health benefits and the “Continuation of Coverage” provision explicitly reserves the right to change the health benefits for retirees through future agreement. The court rejected the plaintiffs’ argument that the “agree otherwise” language in the “Continuation of Coverage” provision should be read to apply only to then-active employees (i.e., future retirees) because nothing suggested that the union’s authority is restricted to matters impacting active employees. With respect to the breach of fiduciary duty claim, the court determined that it was time-barred since the plaintiffs had actual knowledge of the purported breach of fiduciary duty no later than January 1, 2008, when they began paying increased premiums, and the three-year statute of limitations expired on January 1, 2011 (complaint filed on November 18, 2011). For these reasons the 3rd Circuit Court of Appeals affirmed the district court’s dismissal of the plaintiff’s claims. Summary Plan Description Fails to Confer Discretionary Authority to LINA and Discovery Is Appropriate under De Novo Review. In Moran v. Life Ins. Co. of N. Am. Misericordia Univ., 3:CV-13-765, 2014 WL 4251604 (M.D. Pa. Aug. 27, 2014), the court found that de novo review applied to the denied disability claim because the language in the Group Policy by Life Insurance Company of North America is silent regarding the discretion afforded and exercised by the plan fiduciary in making claims decisions. Moreover, the provision designating LINA as claim fiduciary does not clearly indicate that LINA has discretion to interpret the rules, to implement the rules, and even to change them entirely. 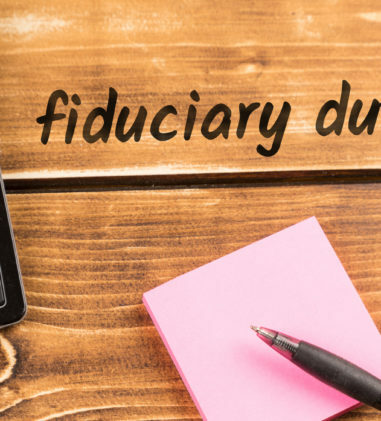 As such, LINA’s designation as claim fiduciary does not establish that it was granted discretionary authority under the terms of the Group Policy. Because LINA failed to identify any other provision in the Group Policy that confers such authority, the text of the Group Policy itself does not support a finding that the denial of benefits at issue here is subject to arbitrary and capricious review. Although the Summary Plan Description (the Group Insurance Certificate and Supplemental Information) grants discretionary authority to LINA, an SPD does not constitute the terms of the Plan. Because the SPD conferring discretion was not explicitly incorporated into the Plan, it failed to grant discretionary authority to LINA. Even though de novo review applies, the court found that limited discovery was appropriate because the Third Circuit has stated that a court reviewing a benefits decision de novo can consider “any supplemental evidence” submitted by the parties. The court also found that discovery on the plaintiff’s breach of fiduciary duty claim against the employer is also warranted irrespective of the standard by which the denial of benefits at issue is reviewed. Healthcare Provider Lacks Article III Standing to Pursue Prospective Relief on Behalf of Patient-Assignors No Longer Enrolled in ERISA Plans. In Premier Health Ctr., P.C. v. UnitedHealth Grp., CIV. 11-425 ES, 2014 WL 4271970 (D.N.J. Aug. 28, 2014), the court considered the plaintiffs motion to certify a class of all ONET healthcare providers who (1) submitted claims for benefits to United for services or supplies provided to patients insured under healthcare plans governed by ERISA and insured or administered by United; and (2) did not receive such benefit payments because United applied the payment otherwise due under the plan toward an alleged overpayment for a claim submitted by the provider on behalf of a different patient (ONET Repayment Demand Class). The court also reconsidered its previous decision to deny summary judgment against one named plaintiff of the ONET Repayment Demand Class, Dr. Sprandel, who United has not offset or otherwise recouped the amounts that it determined were overpaid to him. The court granted the defendants’ motion for reconsideration and granted the motion to certify the Class, subject to the plaintiffs’ ability to cure a defect in at least one of the class’s named plaintiffs. With respect to Dr. Sprandel, the court had previously determined that he had standing to seek prospective relief under ERISA, based on patient assignments of three purported patient-assignors who are no longer enrolled in United-serviced ERISA plans, because United has not rescinded its repayment demands with respect to their claims. Defendants argued on reconsideration that United has publicly declared that, pursuant to its long-standing policy to mirror state law limitations on overpayment recoveries, the years-old repayment demands that Dr. Sprandel now seeks to challenge have no further operative effect. The court determined that in light of this, Dr. Sprandel cannot satisfy the “actual or imminent” requirement of Article III standing because there is no actual or imminent injury to any of any of Dr. Sprandel’s three patient-assignors. None those patient-assignors is currently a United-insured, and United will not pursue any of the outstanding repayment demands against them. Thus, the court determined that Dr. Sprandel lacks standing to challenge Defendants’ overpayment recoupment procedures under ERISA. The court rejected the plaintiffs’ argument that Dr. Sprandel has derivative standing under ERISA to challenge the defendants’ overpayment recoupment procedures because Dr. Sprandel currently treats a number of United-insureds who may very well be subject to those procedures in the future. 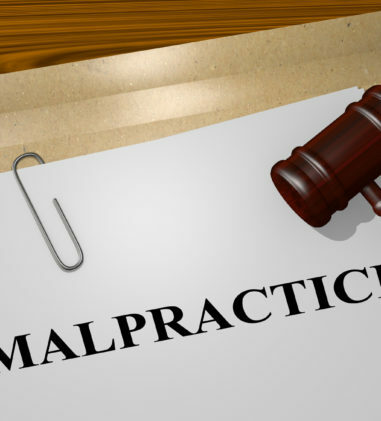 The court found that there is no indication whatsoever that the defendants have or will issue an overpayment notification letter to Dr. Sprandel in conjunction with a claim made on behalf of one or more of his current United-insured patients. And, Dr. Sprandel cannot assert derivative standing to challenge defendants’ overpayment recoupment procedures on behalf of patient-assignors who neither have been subject to those procedures nor certainly will be subject to them. Consequently, the court granted defendants’ Motion for Reconsideration and dismissed Dr. Sprandel’s claims. A Disability Plan Covering Only One Member of a Closely Held LLC Is Not an ERISA Plan. In Harrell v. Nw. Mut. Life Ins. Co., CIV.A. 13-2407, 2014 WL 4248546 (W.D. La. Aug. 27, 2014), the plaintiff is the President and 87.5 percent owner of an LLC. Defendant Northwestern Mutual Life Insurance Company issued a disability insurance policy to the plaintiff, who was the only person affiliated with the LLC to be covered by the policy. The LLC provided its employees with health insurance, but not through Northwestern and no other employee was covered by a disability policy through Northwestern. 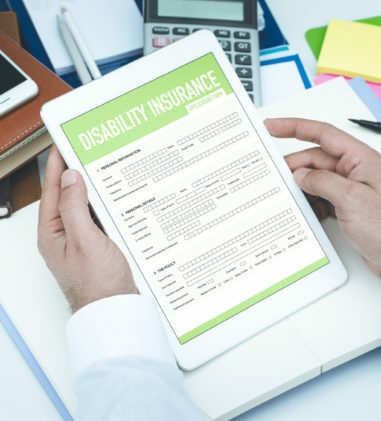 Northwestern claimed that the disability policy at issue is part of an “employee benefit plan” covered by ERISA and that the plaintiff’s state law claims are preempted by ERISA. Whether a plan meets the statutory definition provided by ERISA is a question of fact, however, a court may decide the issue as a matter of law when the facts are undisputed. In order to determine whether the policy constitutes a welfare benefit plan, the court must consider whether a plan: (1) exists; (2) falls within the safe harbor provision established by the Department of Labor; and (3) satisfies the primary elements of an ERISA “employee benefit plan” established or maintained by an employer intending to benefit employees. The court found that the disability policy should be severed and analyzed separately from the employee health benefit plan for purposes of ERISA because the two plans are not sufficiently related. Factors to consider in determining whether plans are related include: (1) whether any employees have received benefits under the policy; and (2) whether the policies were purchased at the same time, from the same insurer and for the same purpose. Applying these principles, the plaintiff’s disability policy should be severed and analyzed separately from LLC’s employee health benefits plan because he is the only person covered by the policy and the two policies were established for different purposes. The court noted that the Fifth Circuit has yet to determine whether working owners of a closely held LLC are to be treated differently than partners in a partnership. ERISA dictates that partners “in a partnership … shall not be deemed to be employees with respect to the partnership.” 29 C.F.R. § 2510.3-3. The court found that an LLC is a relatively new corporate entity that in many regards closely resembles a partnership, and in Louisiana, as in many other states, an LLC is not treated as a corporation. Thus, the owners of a closely held LLC should be treated the same as partners in a partnership. Summary Judgment on Section 510 Claim Denied Where Plaintiff Established a Prima Facie Case of Interference. In Roy v. Kimble Chase Life Sci. & Research Products, LLC, 3:12-CV-537-TAV-HBG, 2014 WL 4219612 (E.D. Tenn. Aug. 25, 2014), the defendants also moved for summary judgment on the plaintiff’s ERISA interference claim, arguing that she cannot show defendants had the intent to interfere with her ERISA rights. 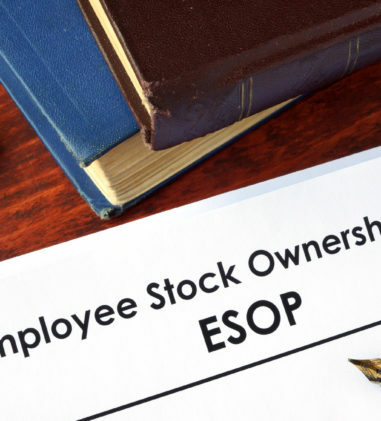 ERISA Section 510 makes it unlawful to discharge, fine, suspend, expel, discipline, or discriminate against a participant or beneficiary for the purpose of interfering with the attainment of any right to which such participant may become entitled under an employee benefit plan. 29 U.S.C. § 1140. A plaintiff asserting a claim under ERISA’s interference provision must show that the adverse action was done for the purpose of interfering with one of the plaintiff’s statutory rights. In the ERISA context, the burden-shifting framework first requires the plaintiff to establish her prima facie case by showing the existence of (1) prohibited employer conduct (2) taken for the purpose of interfering (3) with the attainment of any right to which the employee may become entitled. The employer must then proffer a legitimate reason, and if the employer makes this showing, the burden shifts back to the plaintiff to show that this proffered reason was a pretext and instead that the intent to interfere with the plaintiff’s ERISA rights was a motivating factor. In this case, the plaintiff received short term disability benefits during her period of FMLA leave. The decision maker recommended that she be terminated within weeks of the extension of her FMLA leave, with the termination occurring less than three months later. The court determined that with regard to the plaintiff’s prima facie case, the short temporal proximity between the plaintiff’s extension of FMLA leave and her termination could reasonably lead a jury to conclude that the defendants began to see the costs which would be associated with plaintiff’s continued employment and decided to terminate her when it became clear she would continue to require disability benefits. The plaintiff also submitted evidence indicating that the decision makers were aware that she would have been eligible to continue to receive short term disability benefits for another four months beyond her termination date at the time of their decision, which further supports the inference that she was terminated to prevent the employer from obligating itself to pay benefits. As to the defendants’ proffered reason and pretext, the court similarly concluded that the plaintiff presented additional evidence of her boss’s retaliatory conduct, her changing job responsibilities, and inconsistency in her performance/disciplinary history, which sufficiently raise questions of fact to be resolved at trial. The court denied the defendants motion for summary judgment. Policy Definition of Disability Requires that the Claimant be Unable to Perform only a Single Material Duty of her Occupation as a Lawyer. In Cheney v. Standard Ins. Co., 13 C 4269, 2014 WL 4259861 (N.D. Ill. Aug. 28, 2014), the court conducted a de novo review of the plaintiff’s denied long-term disability claim and decided in favor of the plaintiff on two principle issues: whether the plaintiff had insurance coverage on her date of disability, making her eligible for long-term disability benefits and, whether the plaintiff established that she was disabled under the policy. The defendants argued several reasons for the plaintiff’s lack in coverage during the relevant time period. But even if she was covered, they asserted that she cannot establish disability because of her lack of consistent medical treatment, Standard’s consulting physicians’ opinions that she was capable of sedentary work, and because there were no objective measurements of functional limitations at the time she ceased work. The court found that the plaintiff did have coverage on her date of disability. With respect to plaintiff’s disability, the court determined that a fair reading of the policy language supports the view that to be considered disabled, the plaintiff must be unable to perform only a single material duty of her occupation. The policy provides: You are Disabled from your Own Occupation if, as a result of Physical Disease, Injury, Pregnancy, or Mental Disorder, you are unable to perform with reasonable continuity the Material Duties of your Own Occupation. The court determined that the severity of her condition, degenerative disease of her cervical spine, has caused her such severe pain that an “essential” or material duty of her job has been lost. The court agreed with the plaintiff that the record corroborates her pain complaints and her attempts to use ergonomic accommodations to alleviate her pain to no avail. And, the non-examining doctors relied on by Standard, who found plaintiff capable of general sedentary work, failed to opine on plaintiff’s non-exertional limitations and how those would affect her ability to perform the high-stress work of a litigation partner. 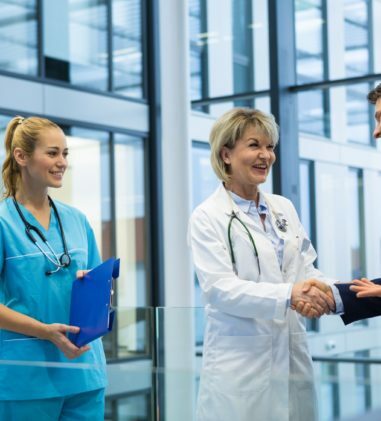 In relying on the non-examining doctors, Standard “glossed over” the issue of plaintiff’s need to concentrate and perform the mental demands of the active practice of law. Important for this case is the distinction that the policy allows for benefits if plaintiff is unable to perform a single “essential” duty of her occupation, not whether she can perform any sedentary occupation. The limited conclusion that plaintiff should be able to move from a sitting to a standing position to account for her chronic pain is not reconcilable with the record evidence that she has used those accommodations for the majority of her career and has continued to suffer pain, which affects how much she can work. Therefore, it may be true that plaintiff can perform other sedentary work or even other legal work but a partner at a large law firm must endure emotional stress, time pressure, long hours, and the demands of a high level of mental acuity regardless of the accommodations of a standing desk, or a reduced hour schedule. District Court Has Jurisdiction to Decide Merits of LMRA and ERISA Claims Seeking to Collect Unpaid Benefit Contributions. In Kern v. Goebel Fixture Co., 13-3185, __ F.3d ___, 2014 WL 4238559 (8th Cir. Aug. 28, 2014), involving an action to collect unpaid benefit contributions, the 8th Circuit Court of Appeals considered a matter of first impression: whether the NLRB’s primary jurisdiction deprives a district court of jurisdiction to consider the merits of a trustee’s ERISA § 515 claim. ERISA § 515, 29 U.S.C. § 1145 provides: Every employer who is obligated to make contributions to a multiemployer plan under the terms of the plan or under the terms of a collectively bargained agreement shall, to the extent not inconsistent with law, make such contributions in accordance with the terms and conditions of such plan or such agreement. Another ERISA provision, 29 U.S.C. § 1132(e)(1), gives federal courts jurisdiction over suits by plan trustees to recover contributions owed under § 515. On appeal, the defendant-employer argued that the NLRB’s primary jurisdiction to decide representational issues deprived the district court of jurisdiction to consider the merits of the Trustees’ § 515 claim. The 8th Circuit concluded that the district court properly dismissed the contractual claim on the merits as the remedy provided by § 515 is limited to the collection of promised contributions and does not confer jurisdiction on district courts to determine whether an employer’s unilateral decision to refuse to make contributions constitutes a violation of the NLRA. Moreover, an employer’s contractual commitment in a CBA to make employee benefit contributions to an ERISA plan need not be based upon union membership or be limited by NLRA representational principles. An employer may-and in some cases must-agree to make contributions on behalf of employees who are not members of the union. Thus, if a trustee’s claim for ERISA plan contributions relates to contract interpretation, as it does in this case, the district courts have the ability to decide the issue even if the issue relates to a determination of the collective bargaining unit. The court concluded that the district court properly dismissed the contractual claim on the merits. Plaintiff’s Success on Waiver of Life Insurance Premium Claim Entitles Him to Attorneys’ Fees. In Bowers v. Life Ins. Co. of N. Am., CIV. 13-891 ADM/JJG, 2014 WL 4265828 (D. Minn. Aug. 28, 2014), the court previously found in favor of the plaintiff’s waiver of life insurance premium claim (“WOP” benefit) under a Life Policy insured and administered by LINA. LINA previously argued that the plaintiff was not continuously employed prior to leaving work and did not qualify for the WOP benefit. On de novo review, the court found that the plaintiff had been working sufficient hours to qualify for the WOP benefit, entitling him to continued life insurance coverage under the Life Policy. The court allowed the parties to brief the issue of whether the plaintiff should receive attorney’s fees under 29 U.S.C. § 1132(g)(1). In determining whether a court should award fees, the Eighth Circuit Court of Appeals has adopted a five-factor test known as the Westerhaus factors: (1) the degree of the opposing parties’ culpability or bad faith; (2) the ability of the opposing parties to satisfy an award of attorneys’ fees; (3) whether an award of attorneys’ fees against the opposing parties could deter other persons acting under similar circumstances; (4) whether the parties requesting attorneys’ fees sought to benefit all participants and beneficiaries of an ERISA plan or to resolve a significant legal question regarding ERISA itself; and (5) the relative merits of the parties’ positions. The court found that the five factors narrowly favor an award of attorney’s fees. 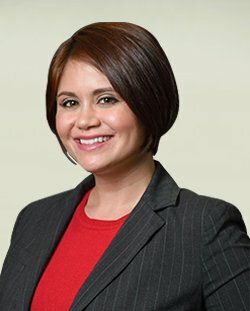 First, LINA had some degree of culpability for failing to thoroughly investigate the plaintiff’s employment and LINA performed essentially the minimum amount of investigation possible. Second, LINA does not dispute its ability to pay an award of attorney’s fees. With respect to the third and fourth factors, the court found them related and that an award of attorney’s fees could encourage LINA or other plan administrators to conduct more thorough investigations in the future and protect an employee’s ability to pursue ERISA claims. Thus, an award could serve as both a deterrent and a benefit. As to the fifth and final factor, the somewhat vague record meant the parties each had at least some merit to their positions. However, as the court found, key medical and employment evidence supported the plaintiff’s position, evidence which LINA largely ignored in its initial determination and subsequent appeals. The court awarded $54,215 in attorney’s fees and $604.63 in costs. Court Denies Motion for Judgment on the Pleadings Based on Contractual Statute of Limitations Providing Only 100 Days to File Suit. In Nelson v. Standard Ins. Co., 13CV188-WQH-MDD, 2014 WL 4244048 (S.D. Cal. Aug. 26, 2014), Standard moved for judgment on the pleadings on the plaintiff’s individual claim for benefits pursuant to ERISA, 29 U.S.C. § 1132(a)(1)(B), arguing that it is time-barred based on a contractual statute of limitations defense. The court rejected the plaintiff’s argument that Standard waived this defense by not raising it in the Answer or in its two previous motions to dismiss because the plaintiff was not prejudiced by the delay. Defendant contended that the plaintiff’s cause of action accrued on February 16, 2011, which left the plaintiff only about 100 days to file suit. 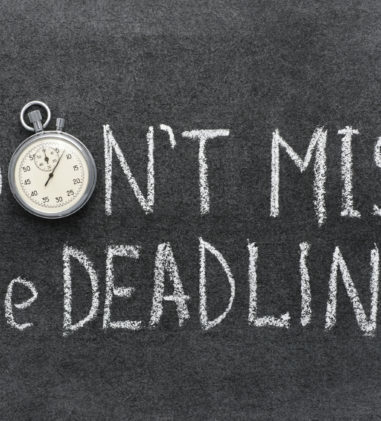 Standard offered no legal authority holding that a period of approximately 100 days constitutes a reasonable period in which to file suit in a case such as this one, where the plan administrator had not issued a final decision prior to the expiration of the limitations period. A protracted review process such as what is alleged in this case, may render a limitations provision unreasonable. 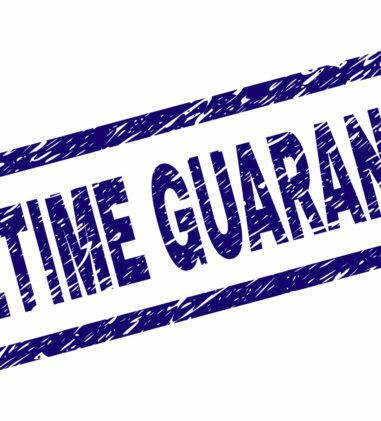 At this stage in the proceedings, the court could not determine that the plaintiff’s cause of action accrued a reasonable time prior to May 30, 2011, the date on which Standard contends that the contractual limitations period expired. Even if 100 days constitutes a reasonable period in a case such as this, the court would be required to consider extrinsic evidence to evaluate the plaintiff’s claim that equitable estoppel prevents assertion of the contractual limitations provision by Standard, which is not permitted at this stage in the proceedings. As such, the court denied the motion. Administrator Abuses Discretion by Denying Residential Mental-Health Care Based on Unreasonable Interpretation of Plan Term. In Lynn R. v. ValueOptions, 2:12-CV-1201 TS, 2014 WL 4232519 (D. Utah Aug. 26, 2014), the court found that ValueOptions abused its discretion in denying coverage for residential mental-health care for the plaintiff’s dependent under the SBC Umbrella Benefit Plan No. 1, a self-funded group health benefit plan. ValueOptions denied benefits three times. The initial denial letter contained no explanation for the denial, but it informed the plaintiff by telephone that the denial was based on the facility’s failure to qualify for coverage. The second denial letter explained that the facility did not qualify for coverage because it did not provide on-site twenty-four hour nursing staff. In the third denial, ValueOptions denied coverage because the facility did not have licensed staff on-site twenty-four hours a day. The SPD requires residential treatment centers to provide twenty-four hour on-site supervision and the defendants interpreted “supervision” to mean either “nursing staff” or “licensed staff.” ValueOptions’s denials did not explain the underlying reasons and principles driving its interpretation of the SPD. With respect to the appropriate standard of review, the plaintiff identified a number of alleged procedural irregularities in violation of ERISA’s regulations governing claims procedures and argued that the violations warrant de novo review. The court noted that the Tenth Circuit has employed a substantial-compliance rule in the past, whereby de novo review is only triggered for procedural irregularities that are consequential. The plaintiff contended that the substantial-compliance rule is no longer valid because it was based upon regulations that have since been amended. The Tenth Circuit has acknowledged this issue, but has not yet resolved it and the court declined to hold that procedural irregularities trigger de novo review without guidance from the Tenth Circuit. Also, even if the substantial-compliance rule does not apply, the court reasoned that the plain text of ERISA does not direct the court to applyde novo review based on procedural irregularities. Rather, the consequence is to deem the plaintiff’s administrative remedies exhausted and to permit the plaintiff to bring this cause of action. The court found that even if it overlooked all of the procedural irregularities and afforded the benefit denial maximal deference, the decision was arbitrary and capricious. ValueOption based its decision on a document that does not define the criteria for the residential treatment centers outside of network. The court found that the initial denial provided a tautological rationale: coverage was not precertified because it had not been precertified. Additionally, all subsequent explanations of the denial focused exclusively on ValueOptions’s interpretation of the term “supervision,” and not on precertification. The court found the defendants’ narrow interpretation of “supervision” to be unreasonable. Despite granting the plaintiff’s motion for summary judgment in part and denying the defendant’s summary judgment motion, the court declined to award attorneys’ fees or costs to the plaintiff. Court Denies Motion to Dismiss Breach of Fiduciary Duty Claim for Missed Life Insurance Conversion. In Biller v. Prudential Ins. Co. of Am., 1:13-CV-03495-RWS, 2014 WL 4230119 (N.D. Ga. Aug. 26, 2014) the plaintiffs, beneficiaries of a life insurance plan, filed this action against Defendants Prudential Insurance Company of America and Six Continents seeking equitable relief under 29 U.S.C. § 1132(a)(3) for breach of fiduciary duty. Biller was an employee of Six Continents and participated in an employee benefits plan that included a life insurance policy insured by Prudential. When her employment ended, she sought to convert her group life insurance policy into an individual policy under an option included in the contract. Despite various attempts to convert the policy, the employer did not send her the conversion application until after the deadline to convert and Prudential would not accept it. Shortly thereafter, Biller died unexpectedly. Six Continents moved to dismiss contending that (1) it is not the proper party for a breach of fiduciary duty action because Prudential, not Six Continents, was the fiduciary with regard to the life insurance plan; (2) plaintiffs may not maintain an equitable action under 29 U.S.C. § 1132(a)(3) because they have a remedy available under 29 U.S.C. § 1132(a)(1)(B) to recover benefits; and (3) plaintiffs do not seek appropriate equitable relief under § 1132(a)(3). The court found that under ERISA’s definition of fiduciary, a party is a fiduciary to the extent that it performs a fiduciary function. Therefore, a court must ask whether a person is a fiduciary with respect to the particular activity at issue. The relevant activity here is the conversion application process. Even if Six Continents does not have any control over the administration of the benefit at issue, it nevertheless was responsible for notifying former employees like Biller of their conversion rights and providing them applications for conversion. Because this activity-not a determination of benefits-is the subject of the plaintiffs’ breach of fiduciary duty claim, they have plausibly alleged that Six Continents owed Biller a fiduciary duty when she requested an application to convert her life insurance. 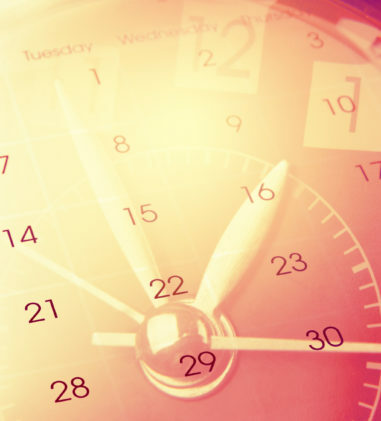 The court rejected the employer’s argument that the plaintiffs have a remedy under § 1132(a)(1)(B) because the plaintiffs are not entitled to benefits under the terms of the life insurance plan because Biller did not complete the conversion form on time. Consequently, the plaintiffs have no remedy except for appropriate equitable relief under § 1132(a)(3). Lastly, the court rejected Six Continents’ assertion that the plaintiffs do not seek appropriate equitable relief authorized by § 1132(a)(3) because they essentially seek money damages. The plaintiffs asked for equitable relief to make plaintiffs whole under, but not limited to, theories of surcharge, restitution or equitable estoppel. The court disagreed with the defendant that the surcharge remedy is only available against a fiduciary who gained a benefit because the Supreme Court recognized that a surcharge could be an appropriate remedy not just for a fiduciary’s unjust enrichment but for a loss resulting from a trustee’s breach of duty. For these reasons, the court denied Six Continents’ motion to dismiss. Public and Private Interest Factors Weigh in Favor of Transfer to Venue Where ERISA Plan Is Administered. In Brown v. SunTrust Banks, Inc., CV 14-1090 (RMC), __ F. Supp. 2d ___, 2014 WL 4352560 (D.D.C. Sept. 3, 2014), the defendants moved pursuant to 28 U.S.C. § 1404(a) to the transfer the case to the Northern District of Georgia, where two substantially identical cases have been in litigation for the past three years. Plaintiffs are four Virginia residents who are participants in the SunTrust Banks Inc. 401(k) Plan (Plan). They allege claims of breach of fiduciary duty, self-dealing, and prohibited transactions against the defendants and seek to bring suit as a class action on behalf of all similarly situated participants. The Plan has over 39,000 participants, and the class is composed of thousands of people who reside in numerous locations. SunTrust is headquartered and maintains its principal place of business in Atlanta, Georgia. 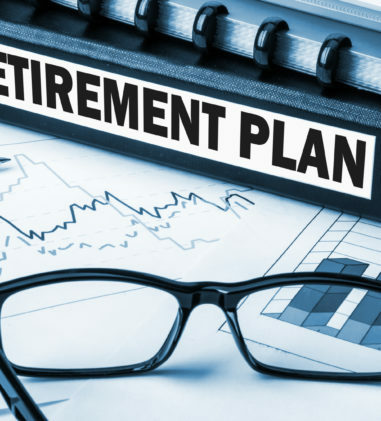 SunTrust is the “sponsor” of the 401(k) Plan and the Plan Committee is the sole named fiduciary of the Plan as well as the “administrator” responsible for day-to-day operations. The Plan Committee holds its meetings at the SunTrust headquarters in Atlanta, and the Plan’s records are held there. Of the nineteen individuals named as Defendants here, only two lived and worked outside of Atlanta; the two who did not live and work in Atlanta regularly traveled there to conduct business. All but five currently reside within the jurisdiction of the U.S. District Court for the Northern District of Georgia; none of them resides in the District of Columbia. Because the Plan is administered in Atlanta, the alleged breaches of fiduciary duty at issue in this lawsuit occurred there. Plaintiffs’ counsel, who has an office in the District of Columbia, previously filed two lawsuits in the Northern District of Georgia against these same Defendants and included the claims brought in this suit. The court found that the public and private interest factors weigh in favor of transfer and granted the defendants motion.